How to choose a sponsor before you start your Watkins business because after you join, it’s too late. Do some research first. Now this might seem obvious to some people, but other people aren’t aware they will have a sponsor and some might not even know why they need one. Yes, if you don’t choose your own sponsor you’ll be randomly placed on a Consultant’s team and it might not be the best fit for you. How does having one benefit me? It is your sponsor’s job to support, train and mentor you so that you can build a successful Watkins business. Your sponsor may earn income from your activities so it is in both of your best interests to have a good relationship. Now, some people need lots of help, others don’t need much, or you might not need help right away. If nothing else, it’s great to feel welcomed into the Watkins family, to have someone who is cheering you on and who will love “talking shop” with you. Everyone can use a good friend and a little encouragement, right? When you join Watkins you and all of our Consultants have access to the same basic training provided by Watkins and the leadership team. The training is awesome and covers a wide range of topics but it doesn’t replace having someone with experience you can talk to. 1. How long have you been a Watkins Consultant? Someone who just joined won’t have as much knowledge and experience as someone who has been an active consultant for a year or more. 17 years, I joined as a Consultant in 2001 and was a loyal customer before that. I loved the products and had become good friends with my sponsor so I knew she would be a great support for me. 2. How active are you in your Watkins business? Keep in mind, someone who isn’t actively selling or sponsoring and helping others who join their team won’t be as knowledgeable or committed to helping you as someone who is actively selling and sponsoring. Watkins provides us with a full-time income so while I only work part time, I’m very active and in a leadership position. I use and am experienced with a variety of marketing strategies, currently I mainly use vendor events, social media and online. I’ve also enjoyed doing home parties. My favorite things are the friendships I’ve made, as well as supporting and celebrating our team members successes. 3. 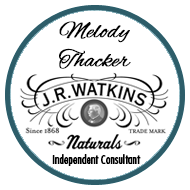 How knowledgeable are you about Watkins’s history, products, and policies? I love our products and use them every day. You can learn more about how Watkins products are made here. I’ve created pdf files about some of our products and their uses to help you learn more about them and so you can share the information with others. Every direct sales company has policies in place and every consultant should read them, but I’ve discovered most people don’t. As a leader, I’m very familiar with our policies and refer back to them regularly. Watkins history is one of the things that attracted me to the company. I’ve published a bit of our history here. 4. What additional tools, training, and support do you offer people on your team? For support, tips, ideas, and training, you’ll have access to an additional private website just for our team. You can also join our private Facebook community where we share tips, ideas, and training, have fun and cheer each other on too. Weekly emails with tips, ideas, training, and recognition. As a member of our team, you can have a free listing on our find a Watkins Consultant pages. You’ll have access to product usage and tips sheets, recipe sheets and other information you can share with your customers to increase your sales. Plus social media images all created just for our team members. Videos and webinars which are recorded if you are unable to attend live. A toll-free number you can call 7 days a week, or you can contact me by text message or facebook messenger and email. We even use postal mail, I love sending Happy Mail to our team members. 5. How much time do you have to invest in me when I join your team? As much as you need! I set aside one hour a week for six weeks to help you get started with personalized one on one coaching calls. I also respond to messages (text or messanger) and emails daily, if not right away. Some people require more or less of my time. It’s really up to you, your goals and your needs. What if I want a sponsor who lives near me? People join Watkins for many reasons and someone local may have joined just to buy for themselves, friends and family. A wholesale shopper might not be your best choice of sponsor. However, I’ll be happy to try to connect you with someone near you if that’s what you prefer. Once you’ve joined Watkins as a Consultant you generally can’t change your sponsor so it’s very important to do your research first and choose someone who you can relate to and can offer you the type of support you need and want. Do you feel like you know me a bit now? If not, you’re invited to stalk my social profiles. 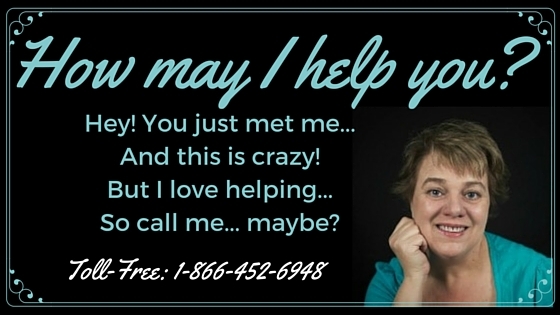 It’s not crazy at all, call me 1-866-452-6948 so we can chat and get to know each other. I’ll be happy to answer your questions and help you find the right Watkins sponsor. Need more information about becoming a Watkins Consultant? I’d be happy to mail you a catalog and send you information about joining.